Folding up man’s most ingenious invention. 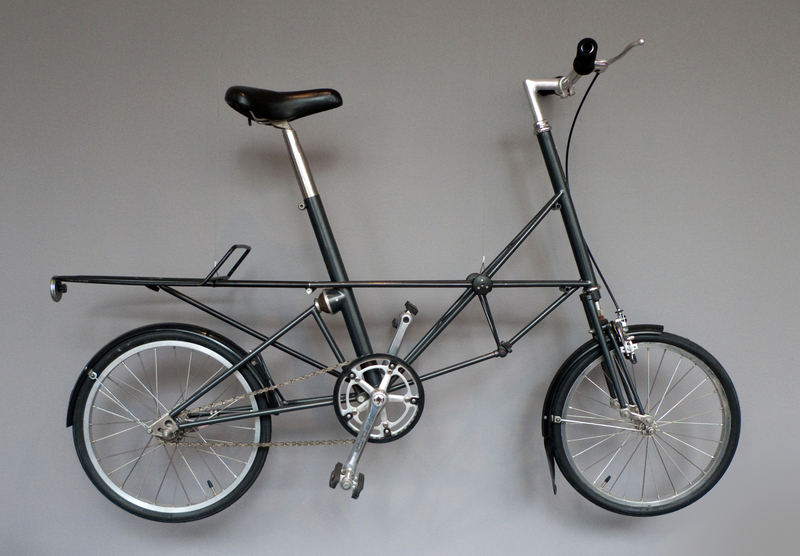 Of course, others had gone before in producing compact folders, but these were certainly of a more thoroughbred standing like the Moulton (pictured below), and perhaps because of this were inherently more highly strung in nature. When Dahon introduced their folder it was truly rugged and affordable. This American machine brought the joys of folding bicycles to the masses, launching the Dahon company from scratch to what is now the biggest in the folding bicycle business. The concept was conceived by Dr. David Hon in the early 1980s, who at the time was one of the leading experts in laser technology. In knowing his efforts were devoted to instruments of war rather than the betterment of mankind, became increasingly dissatisfied with his work and decided to leave the space trade behind him and focus on green transportation for everyone. As a relentless innovator, tinkerer and cyclist Dr. Hon toiled in his garage for seven years in an attempt to create the perfect folding bicycle that would uphold his ideals. Dahon was founded in 1982 on a vision of “green” mobility, a form of transportation that not only serves to keep people healthier, but also to preserve the environment for the next generation. Hon, and his brother Henry, initially advertised their bike as the ‘ride you can hide’. This was the masterstroke of the design of the Dahon, as in its bag it could be hidden under a desk at work or almost any other place you wouldn’t think to store a bike. For such an innovative design, it was always going to have some shortcomings however, and critics have not held back in describing them as a ‘clunky, rattly difficult-to-fold beast that’s heavy and slow’. Of course, in being produced back in the 80’s – it has since been surpassed by newer, more practical designs, including later Dahons. It is a heavyweight, what with its steel frame and components, weighing perhaps double that of a Moulton, but then of course it would have been a fraction of the price originally. While the current crop of new folders are lighter, ride better, and fold more compactly, the classic Dahon just has a certain ‘je ne sais quoi’ about it. It certainly is no lightweight, so it is a bit of a workout to pick it up and put it where needed when folded. Therefore on my own Dahon I decided to put it on a bit of a diet, shedding many of the original accessory components such as the heavy bike rack and the plastics such as the mudguards and chainguard, which had started to become very brittle with age. I exchanged the original saddle that was very softly sprung for a lighter and more contemporary gel design. 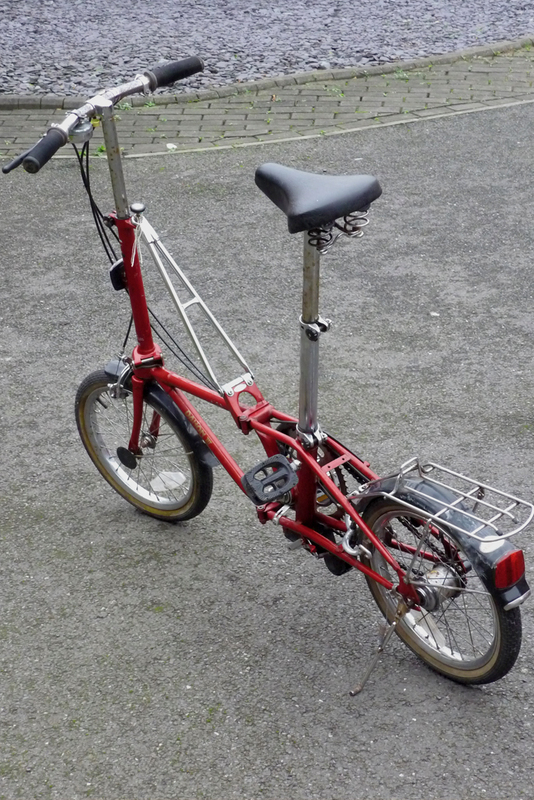 Whilst researching about the Dahon I was reminded of another answer to the innovative but expensive Moulton, and this was the Raleigh Twenty, a popular bike in the UK at the time. Much larger than the Dahon it was similar in being not nearly as sophisticated a design as the Moulton, but they both possess some visual resemblance. While the Twenty lacked the Moulton’s suspension, it was cheap and robust and a fun to ride workhorse. My exploration has led to my belief that the story of these everyday folding bikes has been largely ignored by ‘design’ historians. They tend to have a dismissive attitude towards such machines, in fact to them they perhaps epitomise the much despised ‘shopper’ bike. However, some of these bikes, despite receiving little maintenance over a period of perhaps some 30 years, are still in daily use – as a mid-week, mid-morning visit to any British suburban shopping centre will reveal. I have found first hand that they offer convenient, reliable, easy-to-adjust, easy-to-ride, short-range urban transport for people wearing ordinary clothes who want a bicycle that can easily and safely carry a reasonable amount of shopping. 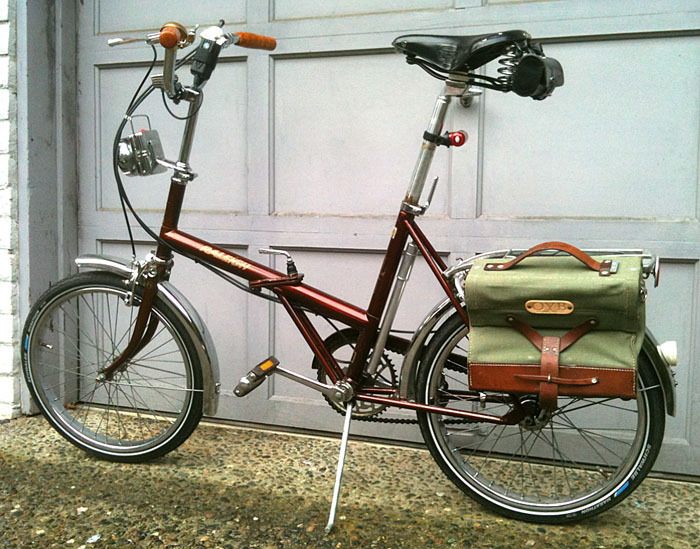 Perhaps in a final triumphant twist, I have discovered that in the USA, despite being maligned by the conventional design cognoscenti, the potential virtues of folding bikes like the Raleigh Twenty are appreciated by some of the most knowledgeable bicycle experts – and their frame sets have been reconfigured into some highly innovative and original touring bikes. These folders inspite of the weight drawbacks being obvious to anyone who rides them, or picks them up;- were however produced in huge numbers over long period showing the underlying virtue and practicability of their designs. 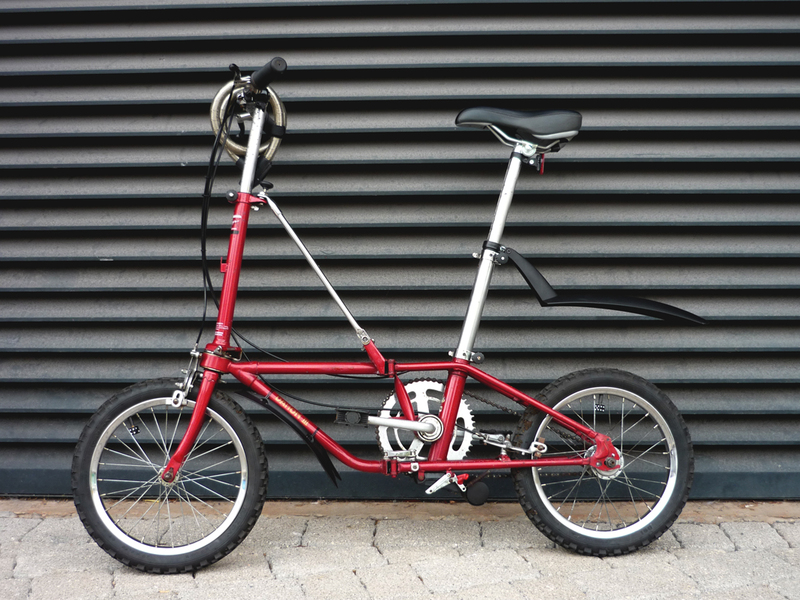 For me, my little DAHON 3 has a lasting appeal as a ‘character’ design, and is proving on daily basis to be a usable survivor of a different era.